Last week we had such a great party, lots of Fall inspiration, recipes and beautiful projects. I have to tell you I am amazed every week at how creative you all are. 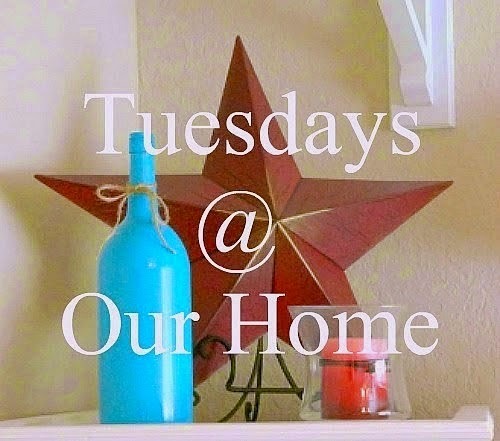 Thank you so much for sharing your creations at my blog every week! a chandelier for one of her clients. Gorgeous! 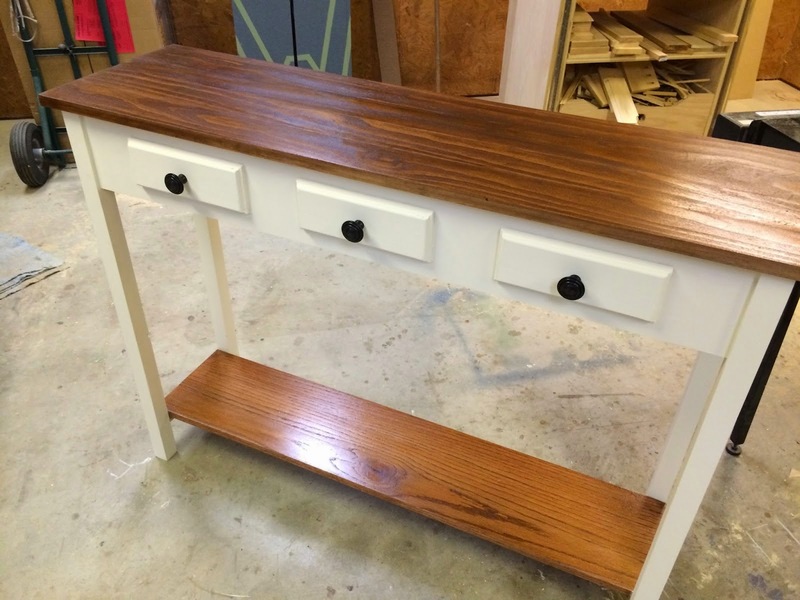 April at Wilker Do's shared a tutorial on how she made her own hall table. Amazing work! If you need Fall decor inspiration, you just have to see this post. 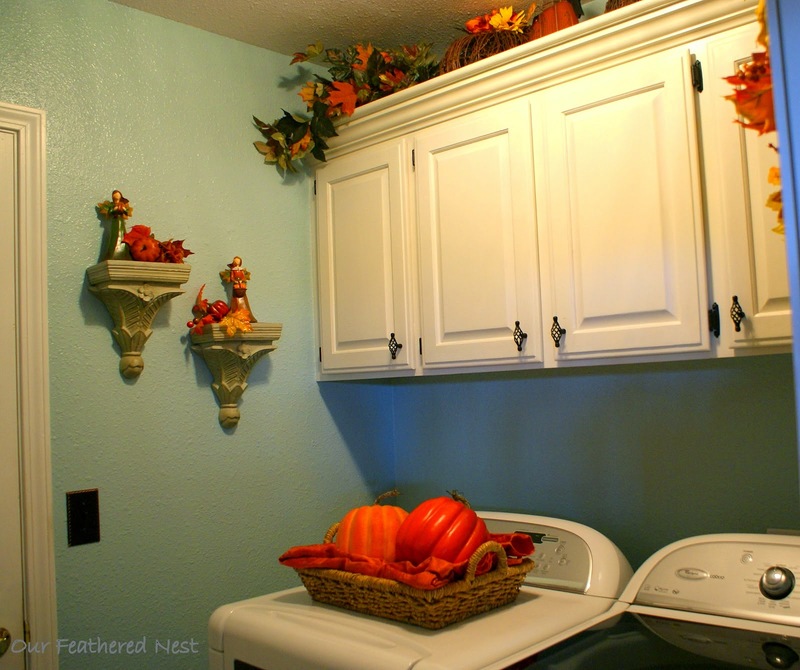 Shana at Our Feathered Nest decorated her laundry room for Fall. Very pretty! More Fall inspiration was shared by Gail at Purple Hues and Me. She made a gorgeous burlap accordion pumpkin. How original is this? Love it! 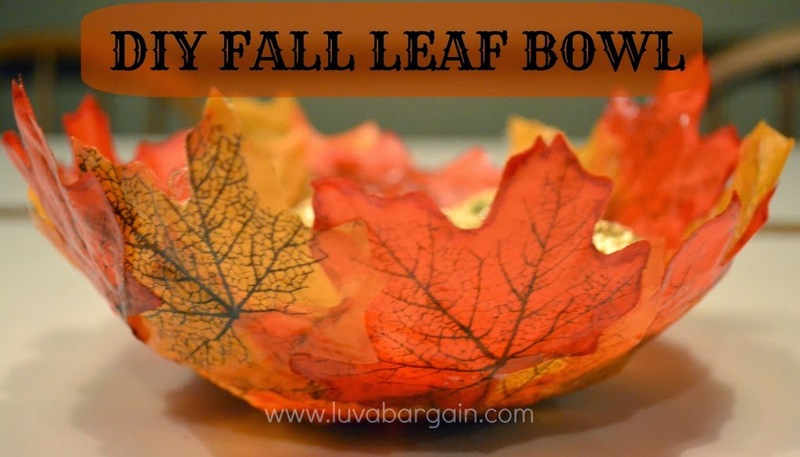 Sherri at Luv a Bargain made a beautiful Fall leaf bowl and shared a tutorial on how you can make your own. 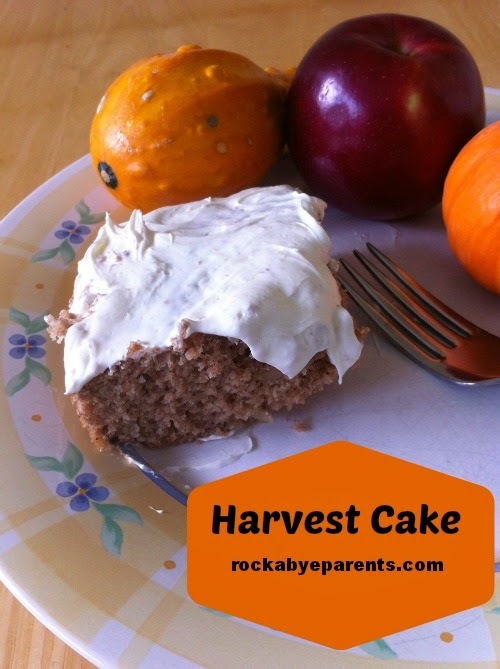 A very yummy recipe for Harvest Cake was shared by Elisabeth at Rock-A-Bye Parents. Cute Fall features. Thanks for hosting sweet lady. Such delightful and delicious features, Maria Elena! Thanks so much for hosting and have a wonderful first week of Fall!! Thanks so much for the party and for your visit and sweet comment!! I really appreciate it!! 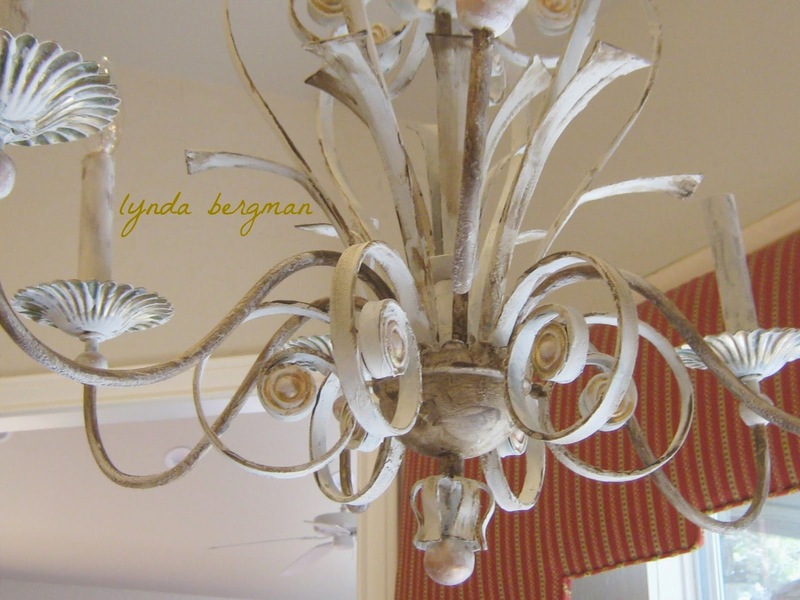 Maria, thank you so much for featuring the chandelier that I painted. And, thanks for the party! Maria, Thanks for the great party each week. So glad to share my dear friend's Bunco fall party on your party today! Glenda and I have been friends since our sons were in Kindergarten together! Such great features! I love all the Fall inspiration! Thanks Maria Elena for your kind comments and featuring my burlap accordion pumpkin. I always love coming to your linky parties! Thank you for hosting! Happy first day of Fall! Thanks so much for the party and blessings to you Maria Elena. Thanks for hosting, Maria Elena, and Happy Fall! Happy fall, Maria! Thank you for hosting your party! Thanks for the fun party Maria!! Thanks for hosting this fun party! This is my first time linking up with you. I'm now your newest follower, as well!